I love the fresh fruit of summer time! Are you enjoying a particular fruit that's in season right now? I bought some cherries that looked yummy but turned out to be really tart. I decided to make a cherry cobbler and wanted to share some with you. Enjoy! 1. In medium mixing bowl, combine cherries, sugar, and flour. Pour into 2-quart baking dish. Set aside. 2. In medium mixing bowl, combine four, sugar, baking powder, and salt. With a pastry knife, cut in butter until mixture is crumbly. 3. Beat egg and milk. Add egg mixture to flour mixture. Combine until dough forms. 4. On a floured surface roll dough. Place dough on cherry mixture. Sprinkle topping with 1 teaspoon sugar. 5. Bake at 425 degrees about 15 minutes. Topping should be lightly browned. Allow to cool slightly before serving. This looks amazing, I've got to try this! My Dad loves Cherry Cobbler. I'll have to make this for him soon, it looks delicious! Going to try this! I love cherries! That looks simple and super yummy! Pinning this to try later! This looks so yummy! I love cobbler! This looks really yummy! Thanks for sharing the recipe. I've never made a cherry cobbler great way to take advantage of this wonderful fruit's short season. Thanks for sharing it with us on foodie friday. Definitely a favorite of mine! Thanks for sharing at Marvelous Mondays. Pinned! I recently discovered cherries ( I know, weird, lol) and now I'm after everything cherry! 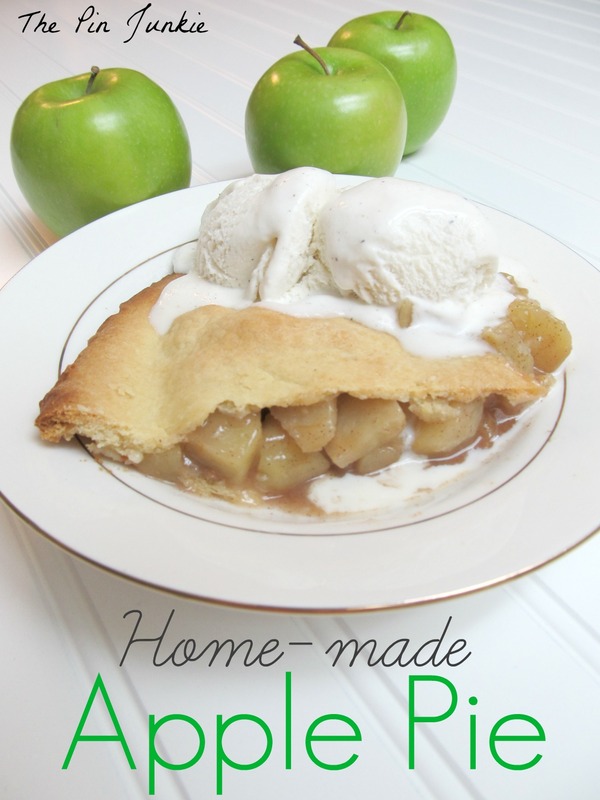 This is an easy recipe that I'm sure I'll be able to do as good as you did! Thank You so much for sharing it! I came over from Stephanie Lynn's party. It's good with vanilla ice cream too! This looks delicious! I love cherries :) Pinning for later! Cobblers are some of my favorite deserts. This recipe sounds delicious. Stopping by from You're Gonna Love it Tuesday Hop. My fiance and I are becoming first time home owners soon, and we inherited a tart cherry tree that is currently covered in little fruits (still growing). I was wondering what to make with them and then saw this at the link up. So glad I did! Looking forward to trying this :). Pinning it! That sounds wonderful! I'd love to have a cherry tree in my yard. Cherry pie is delicious and easy to make too. Just use the same ingredients for the filling, and use a pie dough for the crust. Love, love, love cobblers and cherry-the best ever and so pretty. 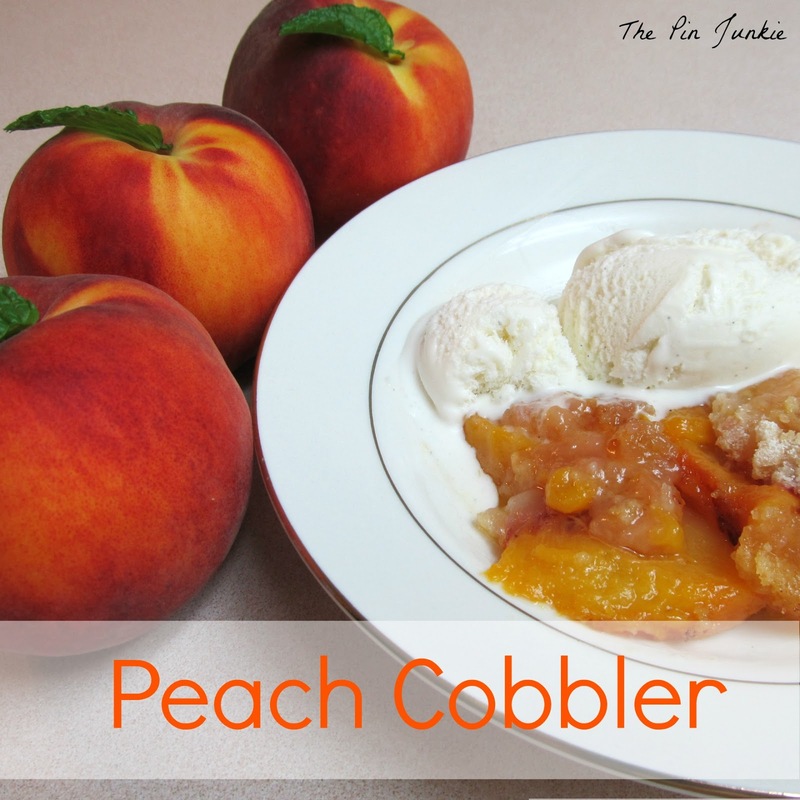 A perfect cobbler for the 4th of July! This sounds wonderful! I'm stopping by from Anyonita Nibbles Tasty Tuesday's party. Have a nice day! Yum! Looks delicious, pinning this! I have a can of cherry pie filling and have been thinking about making a cobbler. ;) Thank you for sharing at Marvelous Mondays this week! DELICIOUS! and easy to make - we love it! I'm not really a fan of cherries, but if I was this would be fantastic! I'm thinking of maybe replacing the cherries with blueberries. Hmmm Thanks for sharing! Yes, you can make cobblers with many other kinds of fruit. Peaches are really good too. Fresh blueberries would be fantastic, especially with some vanilla ice cream on the side! Looks absolutely YUUUUUUUUUUUUUUUUUUUUUUUUUUMMY!!!!!! Hugs and TFS!!! Thanks Andrea! I'm saving a piece for you! Glad you saw that your recipe is being featured on Foodie Friday, I will be pinning and tweeting it this week too. Stop by and get your featured button. Thanks again for sharing with us. Looks SO yummy :) Saw you at Saturday Show and Tell! Thanks for the invitation Heather! My husband goes crazy for cherries this time of year! Pinned! I keep seeing all the cherries at the store and I want to make something - and I just found what I want to make! :) Thanks so much for sharing at All my Bloggy Friends - I can't wait to see what you share this week! The cherries aren't quite ripe enough yet here in the UK. But as soon as they are I'm making this :) It looks utterly delicious! Thank you so much for linking up with me this week at Tasty Tuesdays! I’ve pinned this & shared it with my followers! 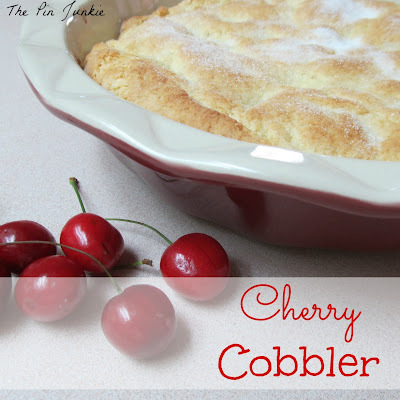 I can't believe I have never made a Cherry Cobbler. It just made my list of to-do's - pinning this recipe right now. :) Thank you for sharing at Tasty Tuesdays, hope to see you again this week! I love cobblers, this one looks amazing! Thanks for sharing it with us on Super Sunday linky party!